The Dar Amore 15cm red velvet ribbon shade, a clip-on lamp shade designed to sit on top of a candle lamp. 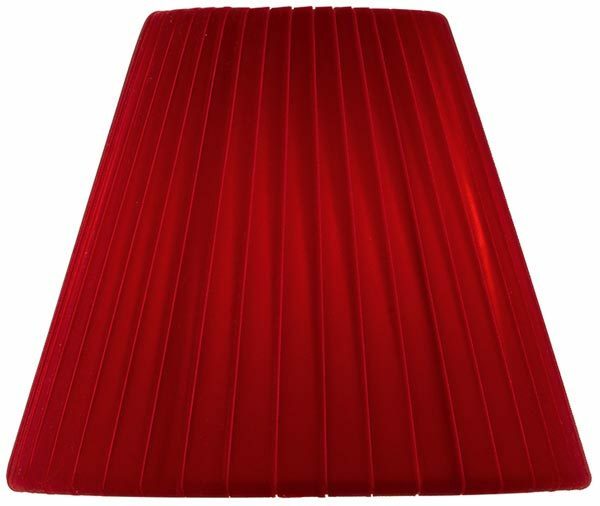 A sultry red 6″ clip-on lampshade that is perfect for wall lights or chandeliers. Maximum effect for minimum outlay. There is a matching 10-inch shade available, please scroll down to view.